Windows 2000 /Active Directory has been around for more than 7 years now. I’ve been using AD for almost 7 years, and due to its stability, I never had to recover a deleted object in AD. (Knock on wood). So it’s not a real surprise to find out that a lot of admins don’t even know how to properly restore a deleted object, or even restore AD the proper way. If you want to reset the password on the current server, run “reset password on server null“. If you want to change the password on a remote server, run “reset password on server “. Type in the new password when prompted. At the dsrm prompt, type ‘q’ and press enter. At the ntdsutil prompt, type ‘q’ and press enter. Due to the fact that you need to bring down a DC, it’s important to plan for this. If it is difficult to bring down a DC because you only have one DC, or if it is a problem to take down a DC because it is the PDC emulator, then you need to prevent this from becoming a problem by setting up a second DC. This will not only provide redundancy and load balancing for certain applications, but it will also allow you to take down that second DC without users noticing. In fact, when you want to restore a deleted user object, you have 2 options : either use ldp to de-tombstone the object, or use an authoritative restore of the object. If you choose to use ldp, check http://support.microsoft.com/kb/840001/ . This procedure requires you to have documented the group membership of that user. Also, the password will not be restored and as a result, the object will be disabled. That procedure does not require you to take down a DC, but as explained, you need to have documentation. 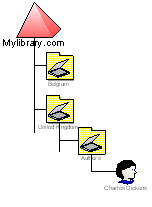 Alternatively, if you did not document anything and you don’t want to take down a DC, you can use this procedure to use one of Longhorn’s (Windows 2008 server) features to get the information you need. Anyways, I’ll use the authoritative restore method this time. Last quick note before proceeding with the restore : When an object is deleted in AD, it’s not gone yet. It is tombstoned and will only vanish completely after a while. So the object is still there, and has a specific USN. When the ntbackup restore process has completed, do NOT reboot the machine. You have now essentially overwritten the existing ntds.dit file with an older copy of the file. At that point, the USN of the object is lower than the USN of the tombstoned object, so if you restart the DC, it will not only receive all updates from other DC’s, but the user object will be overwritten by the tombstoned object. Result : the object will be deleted again. So before rebooting and enabling replication again, you’ll need to update the USN of that object, so it becomes “authoritative”. This will increment the USN with 10000. If you’re not satisfied with this value, you can use the verinc parameter in the “restore” command to specify your own value. 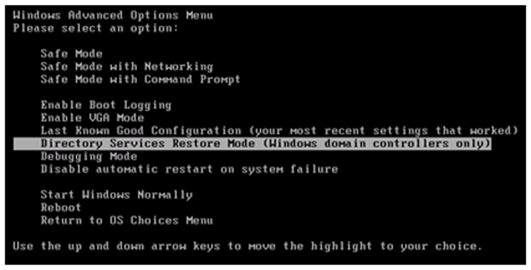 Type quit to exit authoritative restore mode and Type quit again to exit ntdsutil. Reboot the DC, let it start as a regular DC (not in Restore Mode) and check replication. If all goes well, your object will re-appear in AD and will still have all attributes set. If you want to delete an entire OU and everything below, you can use the “restore subtree” command (followed by the distinguished name of the OU). If you want to restore the entire AD, you can simply use the “restore database” command. 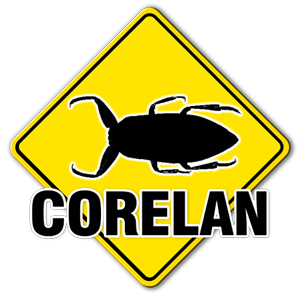 © 2007 – 2019, Corelan Team (corelanc0d3r). All rights reserved.